Phone cameras are one of the biggest areas in smartphones, and they’re getting better all the time. In fact Oppo’s latest development could net you more photos from afar. You don’t have to wait until Mobile World Congress in February to see phone technology improve, or even Samsung’s Galaxy S10 announcement just before it. Phone improvements are happening all the time, and a good month before we’re all set to see the big phones of the year, Oppo is talking up improvements of its own. This week, Oppo has shown what it’s working on at its Future Technology Communication Conference, with plans to use Mobile World Congress to show the technologies actually being used. There are two major announcements here, with one improving smartphone fingerprint biometric security, while the other is all about the ever-important smartphone camera. The first of these is for the smartphone screen, which in a few phones last year and likely in a lot more this year will support fingerprint reading in the screen itself. While Apple has moved away from fingerprint reading entirely and adopted facial recognition, some phone companies will opt for both, and combine the fingerprint reader with the screen, removing the design hurdle that is often a fingerprint reader from the front. 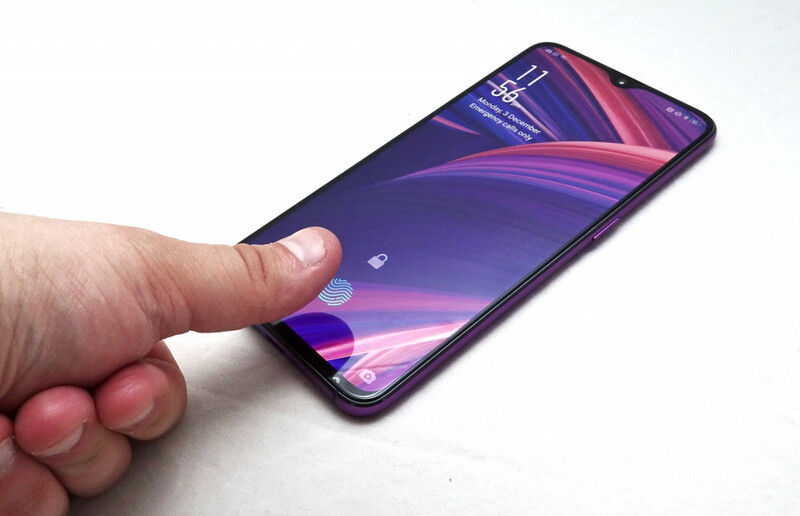 One of the downsides with an in-screen fingerprint reader is you have to generally pick one section where it works, seen in Oppo’s R17 Pro among other phones that use the technology, but Oppo has been working on an improvement to this. 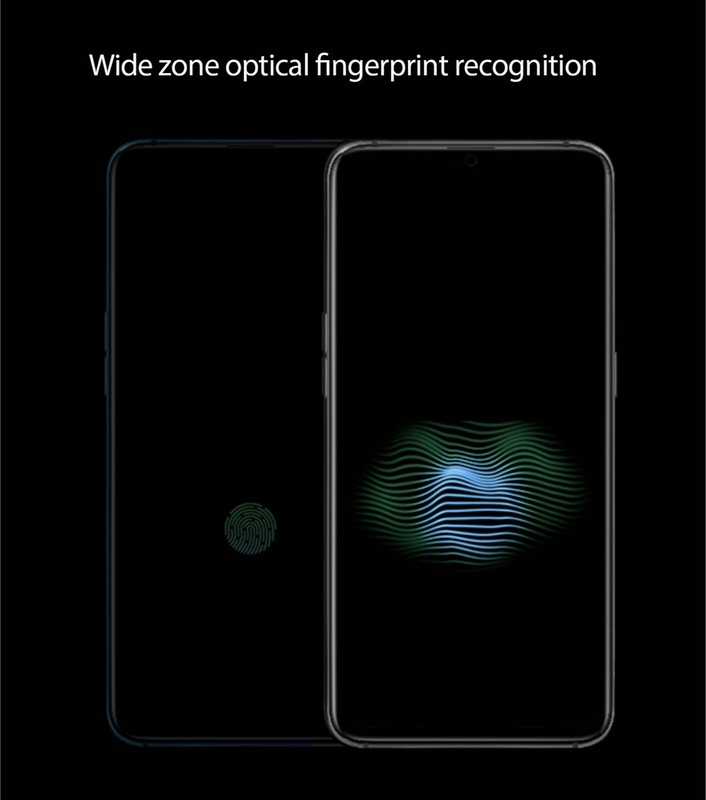 Oppo is announcing that it has built a wide zone fingerprint recognition technology which it says recognises a finger over more space, with two-finger support also thrown in, a move that could increase security dramatically. There’s also a newly announced improvement to the smartphone camera, with Oppo announcing a triple camera solution made to hit a staggering 10X zoom. It’s not the first time a phone has been able to hit 10X zoom, as Samsung’s Galaxy Zoom could several years ago, but that was a thick phone with moving parts for the lens. Oppo’s technology appears to be entirely inside the a typically slim body. 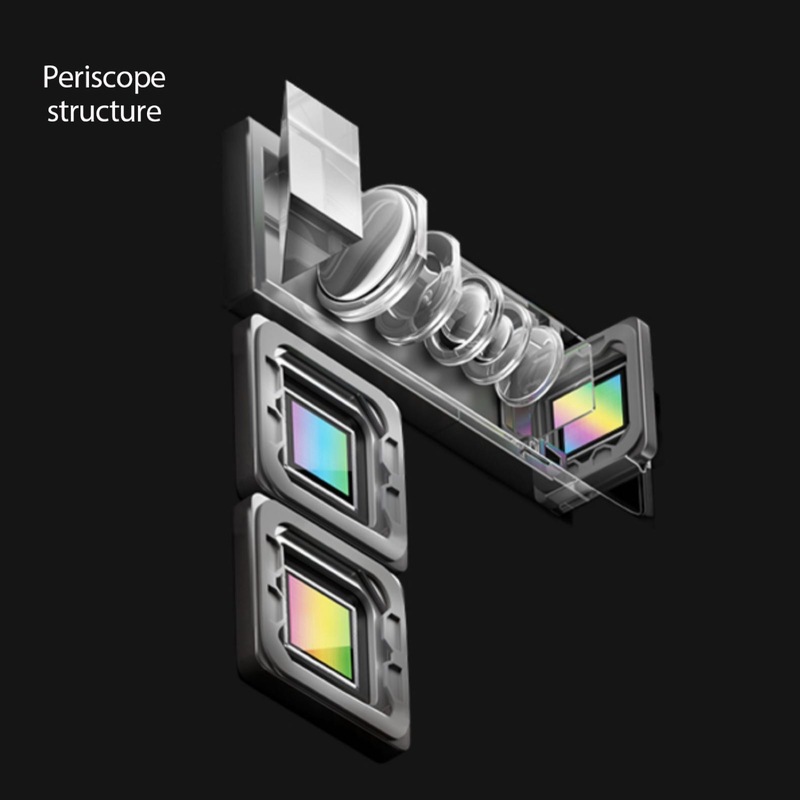 To make this work, Oppo has said it has a three camera solution working, with an ultra wide 15.9mm equivalent camera, a telephoto camera using a periscope design to magnify the image equivalent to 159mm, and a main camera that acts as the master camera. It sounds very much like you’ll get a wide camera, a close camera, and a standard camera with a very large sensor capable of joining the dots between focal lengths. While Oppo hasn’t provided much information about how the 10X camera system works, it has offered an image detailing the break down of its concept, which appears to push a similar version of a camera technology is showed off back in 2017. Back then, it was shown in a 5X camera, but it was never rolled out in a production smartphone. In fact, since that time, smartphones like the Huawei P20 Pro and Huawei Mate 20 Pro have since shown that 5X zoom is possible, even if it is largely made up by combining outputs of sensors, with the 3X optical 8 megapixel and the larger 1X 40 megapixel combining to make 5X possible. Oppo’s take may well work in a similar way, with that 10X camera getting you closer, the ultra-wide redefining what 1X works as, while the largest sensor on the standard camera mixed with downscaling could get the rest of that distance to get it on its way from 2 or 3X to 10X. “We pride ourselves on investing heavily in research and development to improve and innovate smartphone camera capabilities,” said Michael Tran, Managing Director at Oppo in Australia. “Achieving a true lossless zoom has been a challenge for any smartphone on the market, and we are really excited to introduce this innovative solution and further evolve smartphone camera technology,” he said. 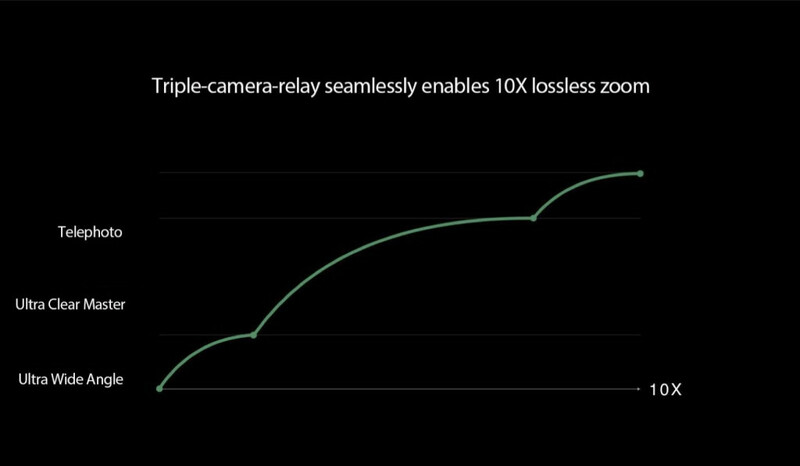 That word “lossless” is going to be particularly interesting here, and we’re very curious to see whether Oppo can manage a true zoom camera system in a smartphone that doesn’t need mechanical or electronic zoom mechanisms to make it happen. Expect a demo in the next month or so at Mobile World Congress 2019, with the product hopefully arriving in a phone later in the year.